Energized excited teen boy dancing. Green hromakey background for keying. Attractive teenage boy is dancing. Slow motion energized teen guy is dancing. Blurred window background. 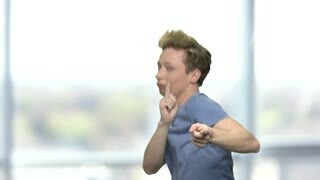 Slow motion teen boy is dancing. Teenage guy is dancing and pointing with fingers to camera. Blurred window background. Cute teenage boy is dancing. 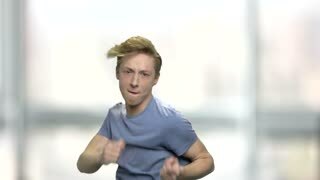 Slow motion trendy teen guy is dancing on blurred background. 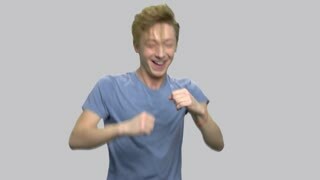 Energetic teenage boy is dancing. 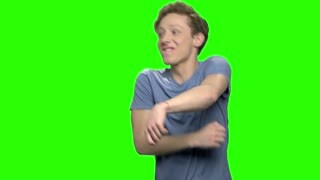 Slow motion funny teen boy is dancing on blurred background. Funny teenage boy is dancing. 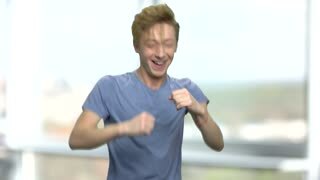 Slow motion cute positive teen guy is dancing on blurred window background. Enjoy the music.